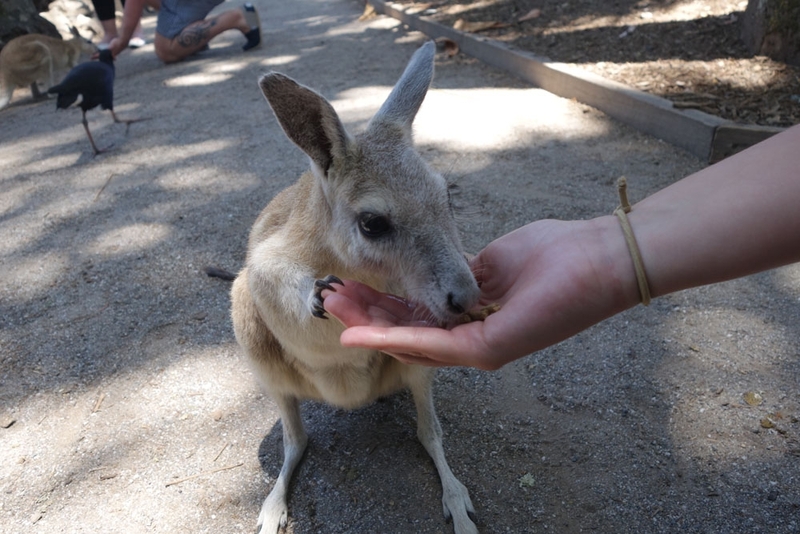 As we were nearing the end of our time in Australia, we realised that we had only seen one 'mob' of kangaroos in a meadow beside the road as well as all of the poor dead kangaroos on the road and felt that this needed remedied; we needed to see some proper Australian creatures up close. 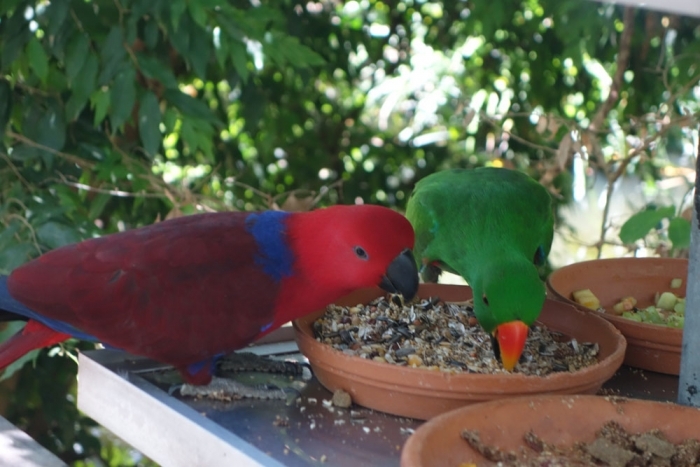 With that in mind we had a free morning in Port Douglas and decided to check out their Wildlife Habitat. 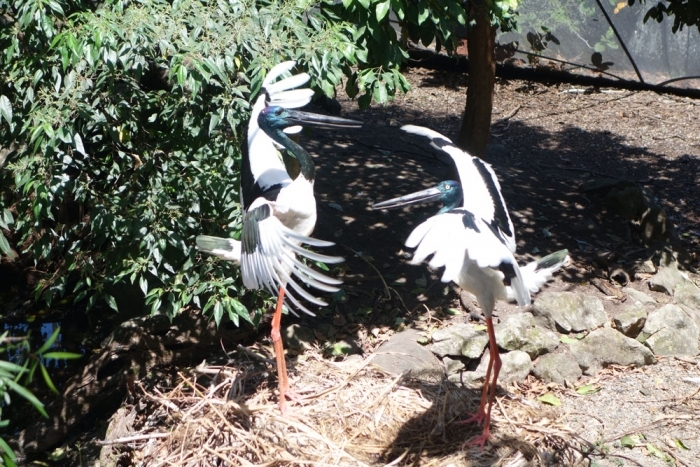 It was either this sanctuary or the Cairns Tropical Zoo and if I'm honest, the reviews for both were pretty similar and both had the animals that we wanted to see. 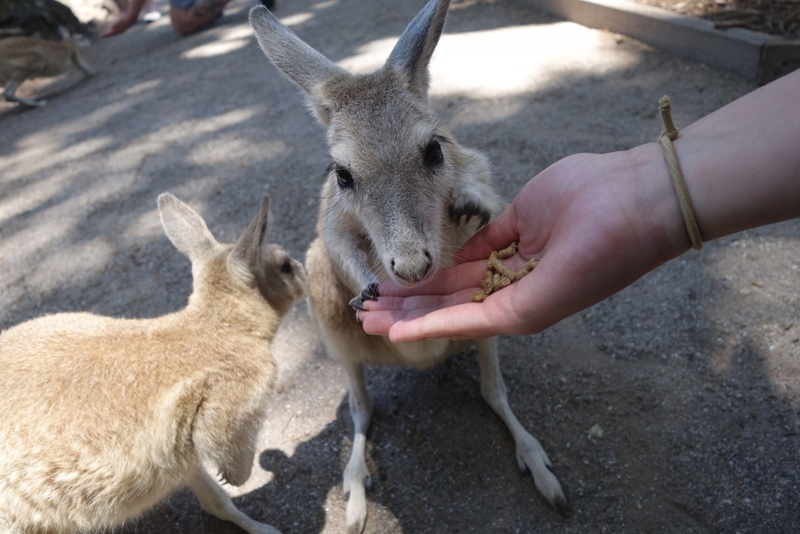 On entry to the park you can buy 'Roo feed' to feed the kangaroos and wallabies so of course I handed over the extra AUD 2 for that privilege! I know it's a bit of a cliche but I did kind of want to hold a Koala whilst I was in Australia. 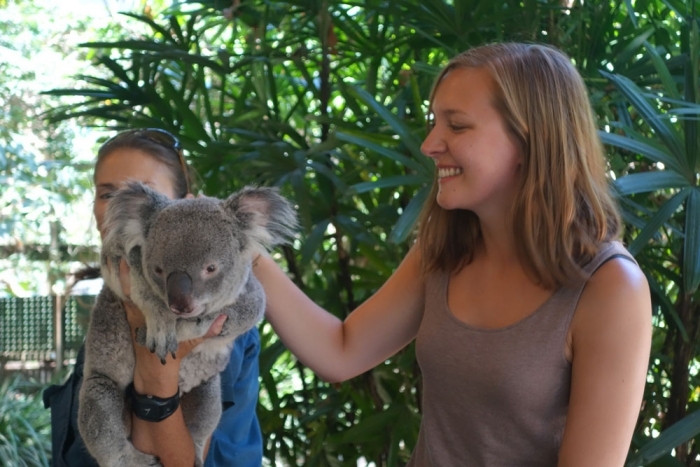 I ummed and ahhed about it the whole way through Queensland (it's one of the only states where you can hold them) as I wasn't sure how fair it was to the animals. 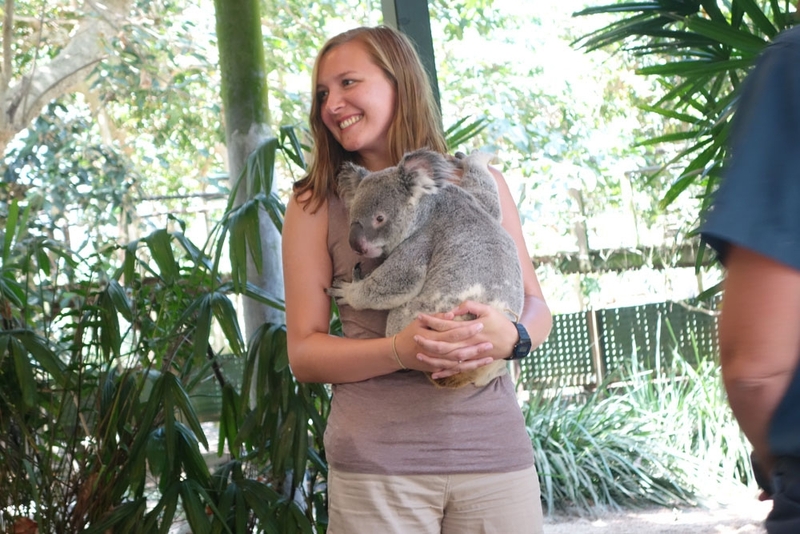 The Wildlife Habitat however has a very strict policy where a Koala can only 'work' for 30 minutes a day and this is strictly logged and they rotate the animals around so that they don't do it very often. I felt much happier with this so decided to jump on the band wagon and have the classic tourist photo taken. (FYI it was AUD18 for the hard copy and electronic copy of the photo) Kody was my koala and he was super soft and cuddly and docile :). 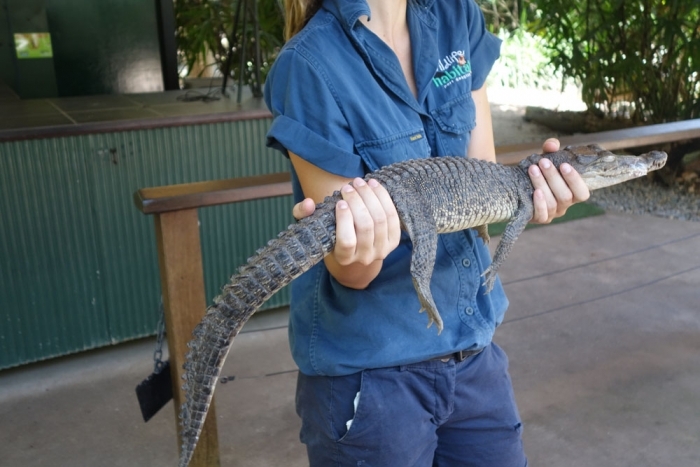 After this was the reptile presentation where we were told about pythons and crocodiles and touched a snake and a baby crocodile; this one freaked me out a bit because we were in proper crocodile country and I hadn't quite realised until this point just how dangerous these creatures are!! Now for the best bit; the kangaroos and wallabies! 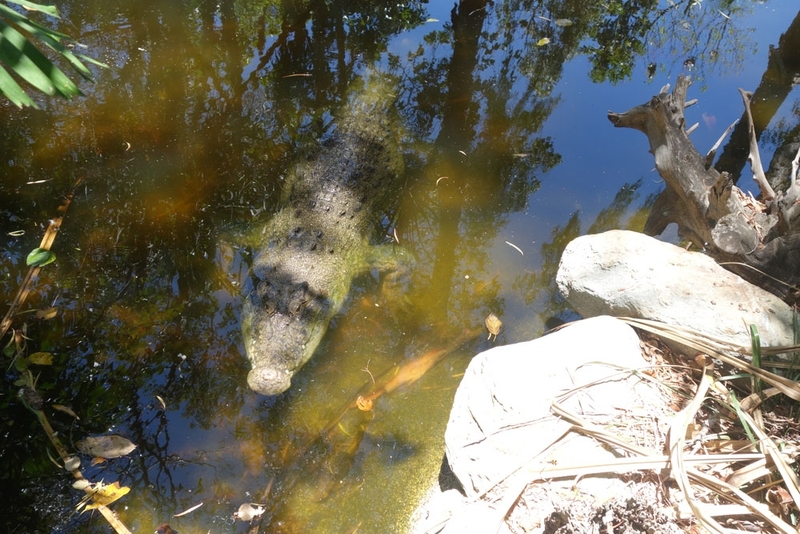 In this area of the park there is a huge grassy bit where these animals can wander around and drink from a big lake in the middle. 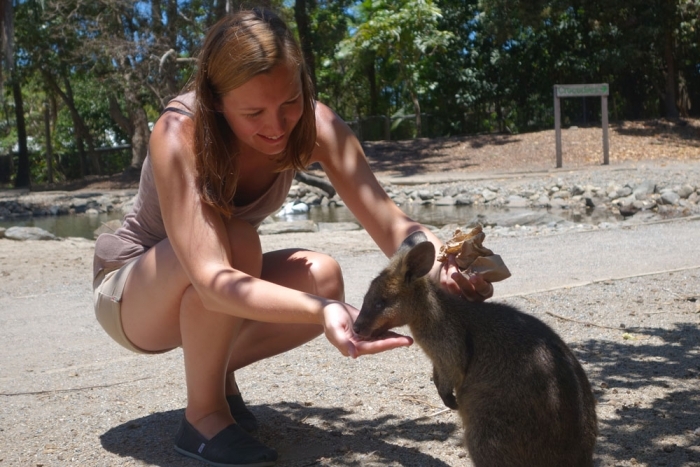 They are incredibly tame and friendly, although some of the smaller wallabies can take a little bit of patience and coaxing to get them to trust you and come over for food. The larger kangaroos are a bit more brazen and will hop right up in huge numbers to get some food. 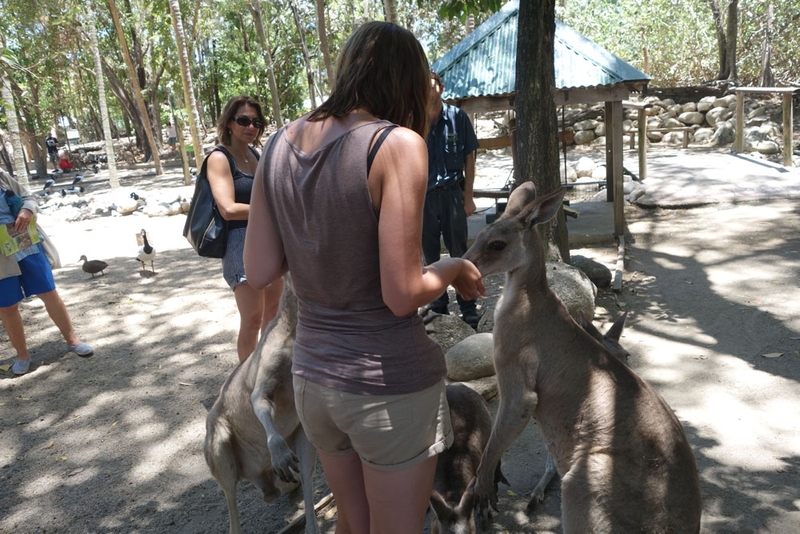 Some even had joeys in their pouches! They are sooo soft and cute and I was seriously considering taking one of the wallabies home, they were my absolute favourite! 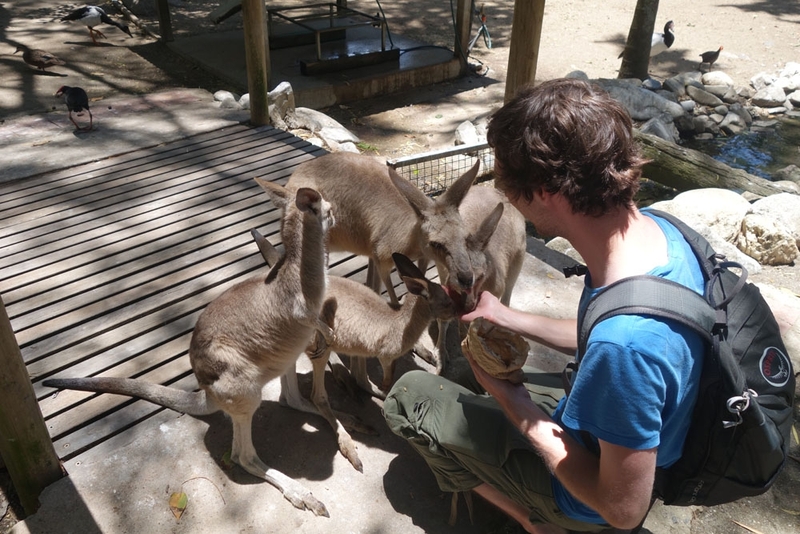 All in all in would really recommend this park if you are looking for somewhere to get up close to these amazing animals in a safe environment. 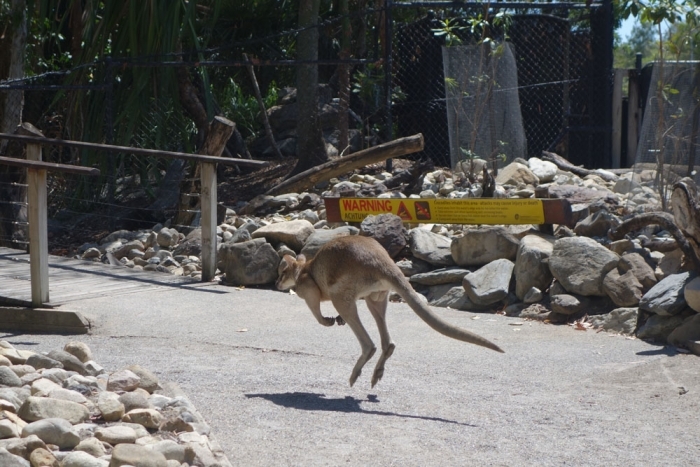 The park feels better than a zoo with the animals being able to roam free and the keepers seem to really love the creatures and their jobs. ATW the price for an adult was AUD33 but we had managed to get a 10% discount voucher from the Port Douglas information centre which was a nice bonus.